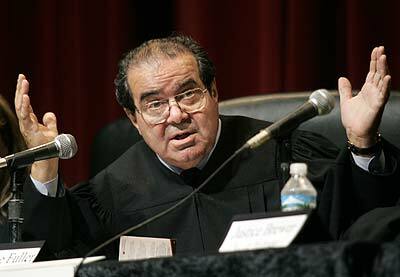 Nino Scalia: "Let's let Sammy write the opinion. He'll be fucked for life!" It is not for us to say that their religious beliefs are mistaken or insubstantial. There is no rational test for religious beliefs, therefore, we, the Catholic male majority of the Supreme Court, cannot require even vague plausibility for religious beliefs to be acceptable enough to deem a federal law as unenforceable. My Hobby Lobby opinion is irrational, but so is religion! Our forefathers should have thought of that! A rational takeaway? What else but that five Catholic conservative Republican men, also known as the ruling majority on the Court, are intellectually bankrupt? Parsing yet again: Alito asserts that, because this is about religious faith, "But it ain't rational!" is a meaningless objection. History will not be kind. But for now, we are so fucked. baffling in my legal analysis. 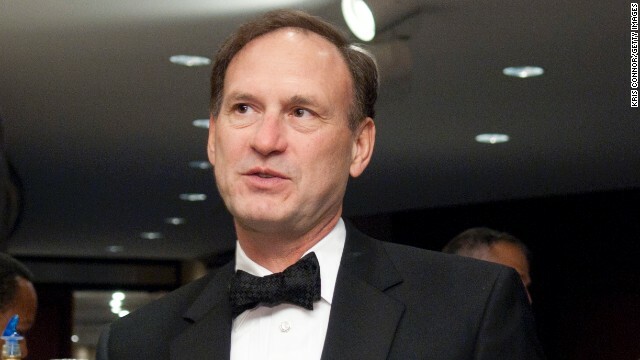 So Sam Alito is an intellectual monster, huh??"